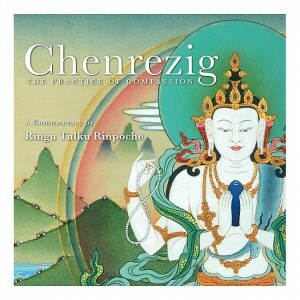 When it is known that a person is dying, what practical suggestions does Rinpoche have for the family who is caring for the person to make things easier? Now this, I think the most important thing is that the family members can make the person who is dying satisfied. I think to give an example, that they forgive the person who is dying, that they make it very clear to them that whatever negative things happened, or whatever kind of problems there were, any kind of emotional things, they forgive the person because there is no use not to forgive, it’s good for the people who are left behind as well as the person who is dying. So to really forgive and then to say goodbye and allow him or her to go. And for that, I think the most important thing is to really understand impermanence and to accept the fact that people die and they have to die and it is ok to die, I think this becomes very important and that this is done, this thing is accepted and allowed because then I think the person who is dying also can say goodbye in an appropriate way and can also let go. So this is, I think from my point of view, a good preparation, a very good preparation, a basic thing the family can do for the person who is dying and to make their transition easy, or easier because the most difficult thing is for the person who is dying. Of course, there’s lots of fear, lots of pain and lots of uncertainty and insecurity but also he or she also has lots of worries and lots of difficulties coming from the family and friends, and worries for them. And then I think that the family should express their love but then also allow them to pass on. But of course different situations for different people and for different circumstances so you cannot say this is the only thing, the only way. As much as possible, the family members should try to do things according to the wishes of the person who is dying, to fulfill his or her last wishes, this I think would be very good and very useful. And I think, if possible, they come and they meet the person who is dying before he or she passes away and say goodbye, it doesn’t matter whether or not they are standing or in front of them at the moment of death exactly, but it is necessary to really properly say goodbye. I think sometimes when the loved ones are present it is difficult for the person to die. So sometimes it is better that loved ones leave and let the person die. That doesn’t mean that they never come back if the person doesn’t die, but especially, not to be too emotional. This is regarded not good as it disturbs the mind of the person who is dying. PreviousPrevious project:Creating a willNextNext project:How can the dying person help the family?